• Quickly and safely pick-up iron and steel off-cuts, filings, chips, swarf and small components. 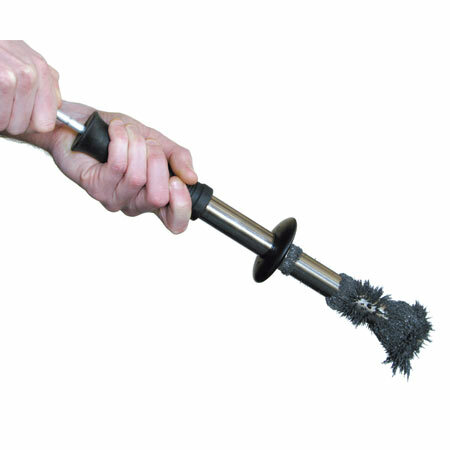 Simply place the Magnetic Swarf Wand into the material you want to remove ferrous debris from (or to test for ferrous contamination), collect the debris, take away and then use the quick releasehandle to clean the ferrous debris away from the Magnetic Swarf Wand (cleaning is usually done over a bin). The Magnetic Swarf Wand is not for guaranteed ferrous removal - please regard it as a testing device.